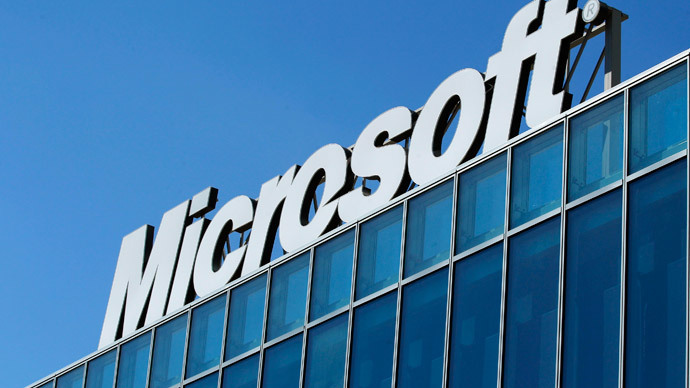 Computer security experts say they have found a new flaw in Microsoft Windows operating system. The weakness, which has been named ‘Redirect to SMB,’ potentially allows hackers to steal sensitive information from hundreds of millions of PCs. The discovery was made by the security firm Cylance, who said that any Windows system could be infiltrated, while there were at least 31 companies, including Adobe, Apple and Oracle, which can be exploited using this vulnerability. “’Redirect to SMB’ is a way for attackers to steal valuable user credentials by hijacking communications with legitimate web servers via man-in-the-middle attacks, then sending them to malicious SMB (server message block) servers that force them to spit out the victim’s username, domain and hashed password,” Cylance’s Brian Wallace stated in a blog on the company’s website. Cylance said that if a hacker is able to get a Windows user to click on a bad link, which could be on an email or a website, it would be easy to create a cyberattack. The hacker would thus be able to hijack communications and access sensitive information. Microsoft did acknowledge that there could be a problem, but mentioned it had been vastly exaggerated by Cylance. Meanwhile, the CERT unit of the Software Engineering Institute at Carnegie Mellon University, which is funded by the US government, said they issued a warning on Monday. The organization is responsible for tracking computer bugs and security issues that have popped up on the internet. A similar flaw in Microsoft’s software was found in the 1990s. This allowed hackers to trick Windows into signing on to a browser, which they controlled. Microsoft never managed to resolve the issue, which was flagged up by Aaron Spangler in 1997.